Navy blue and red viscose wedding saree. The brilliant attire creates a dramatic canvas with amazing patch border work, resham work, lace and stones work. Included with a matching blouse. Its a pretty Viscose saree for wear on Festival and Reception. 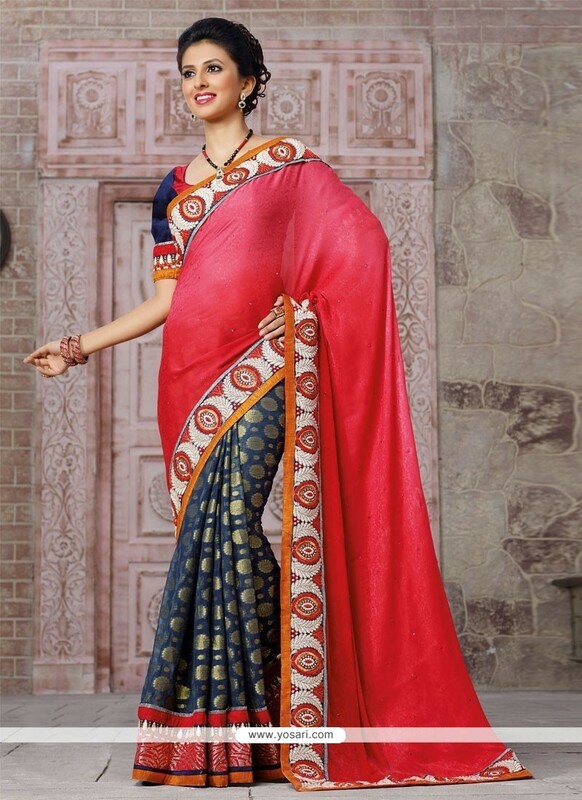 Viscose Fabric and Red, Blue color Patch Border and Stone used to make this stylish Saree.